The Elements of a Personal Injury Case - David M. Benenfeld, P.A. When you file a personal injury claim, the victim (known as the plaintiff), carries the burden of proving that the defendant was negligent. Even if you know the responsible party, your word is not enough. Instead, you must use the preponderance of the evidence to prove four distinct elements. To ensure a plaintiff establishes their case sufficiently, the court requires that they have evidence proving four elements: duty, breach of duty, causation, and damages. While these four elements seem simple enough, the process of establishing each is complicated and requires a professional’s assistance. Therefore, if you suspect that you have a valid personal injury case, speak with an injury lawyer and see if the four elements exist in your case. Everyone must exercise reasonable care when he or she is driving, operating a business, or even crossing the street. The existence of a duty is the first element of a personal injury case. If the defendant does not owe you a duty of care, they are not responsible for any injuries you might have sustained. Establishing a duty owed is straightforward. For example, motorists owe a duty of care to other drivers to obey the rules of the road, not drive intoxicated and avoid accidents. Likewise, business owners are required to keep their property safe for customers, while homeowners are required to maintain their premises safe for visitors. What the courts consider to be “reasonable care” is subjective and may depend on the situation. In most cases, it will be comparing the duty expected of a reasonable person in society to the actual behavior of the defendant. Next, you must establish that there was a breach of the expected duty of care. When a person or business breaches that responsibility and fails to exercise reasonable care, a person can be injured. Did the defendant owe a duty of care? If the defendant did owe a duty of care, was it a reasonable duty, a professional duty, or a duty that all landowners owe to their guests? How would someone in the same position act? Next, the courts consider how the defendant’s actions compare to a reasonable person in the same position. What would a reasonable person in that same situation do to prevent harm? If the defendant’s actions deviated from what a reasonable person would do, they might have breached their duty. How foreseeable was the risk? While someone might not have acted as expected, the courts want proof that the defendant could have foreseen the injury or danger to someone else, and disregarded those risks. If they could reasonably predict the risk, then they should have done something to prevent the injury. Were there alternatives that would have prevented harm? Were there any alternatives available that would have avoided the injury? Depending on the individual facts of the case, there might have been one or more alternatives. Once the expectation of care and breach are established, the next stage is proving that the breach of duty caused the plaintiff’s injuries. A person can breach their duty of care, but if the breach does not cause the harm directly, there is no case. Causation is often referred to as “but for” causation. That means that “but for” the defendant’s breach of duty, the injury would not have occurred. Proximate cause refers to the injuries the defendant is responsible for that he or she could have foreseen through their actions. For example, a defendant could have predicted a catastrophic motor vehicle accident when speeding or driving intoxicated. If the harm is less related to the breach of duty, then it might be more difficult to prove the relationship between the injury and the defendant’s actions. The last part you must prove is damages. Lost Wages: This includes time you take off work to recover from your injury, wages you lose while working on your case, and sick leave you take to go to follow-up appointments. Loss of Earning Capacity: If you cannot return to work full-time, in the same position, or you are permanently disabled, you may seek compensation for your loss of earning capacity – which covers future wages. Pain and Suffering: Physical pain, emotional distress, anxiety, insomnia, depression, and any suffering related to your injury are compensable. Property Damage: This includes damage to your vehicle, personal belongings, and any other property you own that was damaged in the accident. Medical Costs: All medical costs associated with your injury including ambulances, hospitalizations, surgeries, doctor’s appointments, medical equipment, prescription medications, and treatments are all recoverable. If someone’s negligence injured you or a loved one, you might be entitled to compensation. While the insurance company might offer to negotiate privately, you have the right to hire a personal injury lawyer – and it is highly advised. A Florida injury lawyer can negotiate on your behalf and often yields a higher settlement than negotiating with insurance claims adjusters alone. 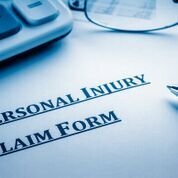 To see what your claim qualifies for, contact The Law Offices of David M. Benenfeld P.A P.A today at 954-677-0155, or request your consultation online.